adidas Originals and UNDFTD join forces for the first collaborative iteration of adidas’ newest silhouette, the Prophere. A style inspired by the provocative and bold designs of the 90’s, Prophere takes its lead from those found at the periphery of the mainstream and is a style designed to challenge the norm. Think underground musicians, graffiti artists, and guerilla club night promoters and you’ve entered the Prophere realm; inspired by a new generation of creatives who are developing their own aesthetic codes and working according to their own rules. Bringing together the best of adidas with the discerning style of UNDFTD, the first collaborative Prophere is inspired by these underground creators and the disruption of the status quo. Prophere introduces an unexpected silhouette that is both disruptive in design and innovative in construction. 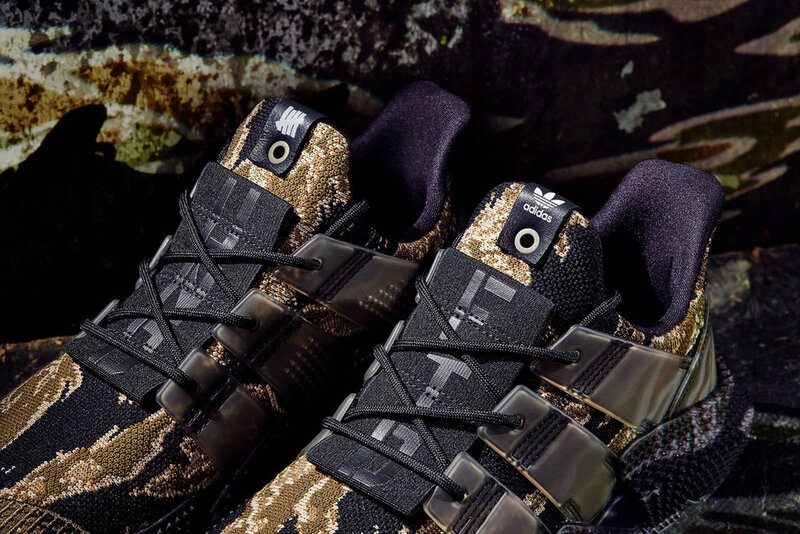 The adidas Originals by UNDFTD model features a primeknit upper with a raised tiger camo print, offset by 90’s inspired bold TPU stripes prominently integrated into the forward-thinking lacing system. adidas Originals and UNDFTD branding is purposely placed on the iconic Consortium tongue tab and tongue strap drawing further attention to the aggressively bold and sculptural midsole, a signature detail of the new silhouette which blends elements of sock-fit and chunky sneakers for an unexpected hybrid of two of 2017’s most notable sneaker trends. Wholly original and set to be a future icon, the first collaborative iteration of the Prophere silhouette is set to take its place in the sneaker hall of fame. 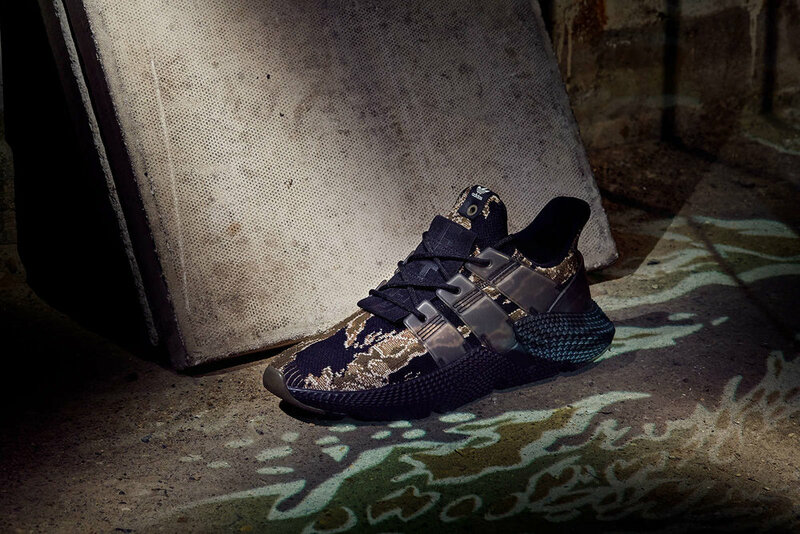 The adidas Consortium x UNDFTD Prophere will release at selected retailers such as END. on December 23.